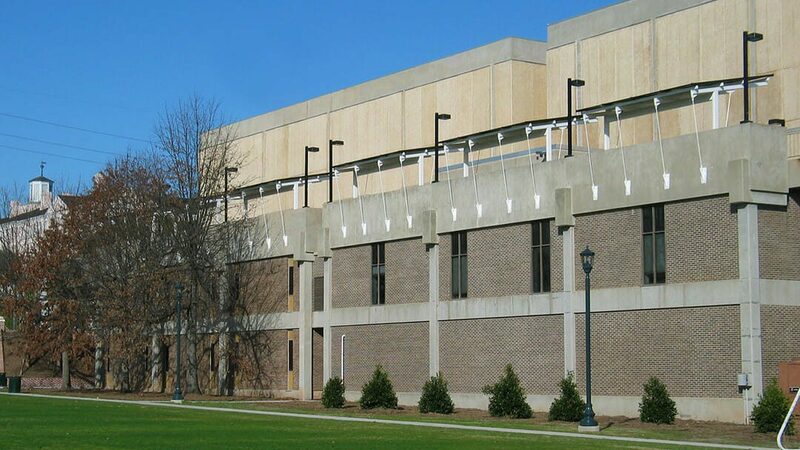 This multi-phased project, completed in 2007, provides students, faculty, and staff of the University with outdoor recreational space and amenities adjacent to the new Strom Thurmond Wellness & Fitness Center, as well as USC’s Blatt P.E. Center. The field space at Strom Thurmond Wellness & Fitness Center completes the University’s master-planned goal of linking the complex to the expanding Greek Village with up to three soccer/football/lacrosse fields and an NCAA regulation soccer layout possible at the eastern end. 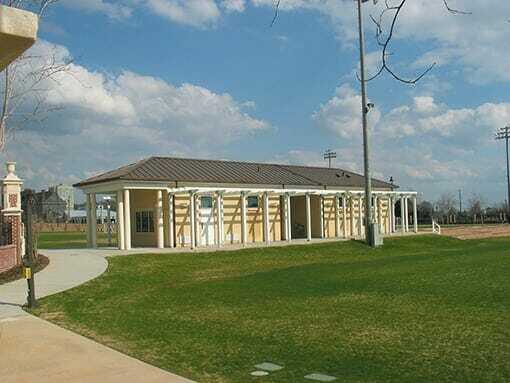 In conjunction with the recreational fields, a new 1,500 square-foot support building provides restroom, vending, storage, and staff meeting space in close proximity to the outdoor activities. The building’s material palette and aesthetic are directly informed by the adjacent structures but at a much smaller scales. The structure is broken into two separate masses joined by one roof, creating a breeze-way visually connecting the field areas, and is wrapped by a raised concrete plinth and painted wood trellis. Its siting creates a terminus to the fields’ access drive to the north, and a terraced lawn for casual gathering and events viewing to the south. The Blatt recreation fields were reconfigured to accommodate soccer, football, and softball, along with the addition of new access stairs, bleachers, student gathering spaces and hardscaped paths and decks providing access to the adjacent Rocky Branch Creek. The newly designed recreational fields presented an opportunity to create covered viewing areas for these new fields on the existing pedestrian overpass, which provides prime overlooks of the activities below. A steel structure anchored to the existing concrete bents of the bridge creates the skeleton of the canopies, and photovalic panels are used as the roofing. 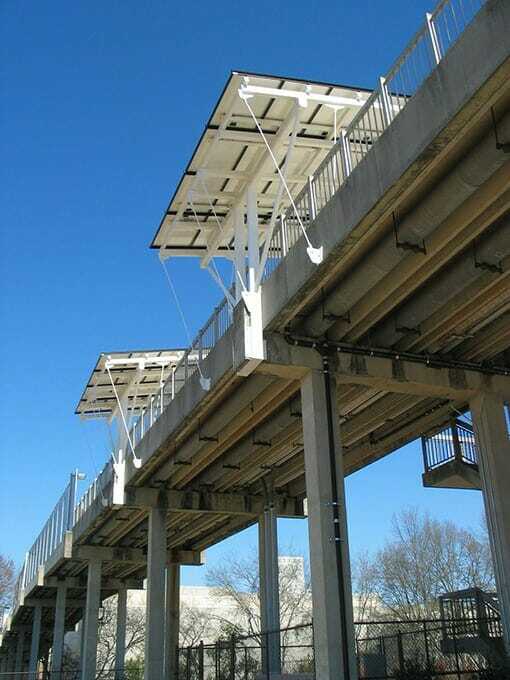 These solar canopies provide unique shaded viewing areas during the day and provide power to light the pedestrian bridge at night, serving as a prime example of the university’s commitment to sustainable and environmentally-friendly design. Phase Three of the recreational design effort will focus on USC’s presence on the Columbia Riverfront. Offering a promise of increased access for water and outdoor recreational activities, the multi-function facility will also include bike and jogging trails directly linked to the main campus and city at large. The new campus will also promote diverse activities by including team-building activities such as a rope course and field support areas.